Matthew Divito is a designer working in various fields of creativity. 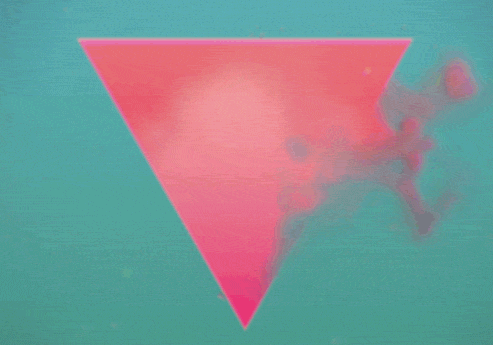 Lately he has been working on motion design creating a series of really cool animated GIFs. This animations remind of those 80s CG works we saw in tv series and music videos. Mesmerizing. <a href=”http://cargocollective.com/matthewdivito” target=”_blank”>Matthew Divito</a> è un designer che lavori in vari campi creativi. Ultimamente ha lavorato ad una serie di GIF animate veramente spettacolari per stile e realizzazione. Ricordano quegli effetti di motion graphic anni 80 che vedevamo nelle sigle di alcune serie TV o in alcuni video musicali. Ipnotizzanti. fantastic issues altogether, you just won a new reader. What could you suggest about your put up that you made some days ago? Any certain? Normally I don’t learn post on blogs, but I would like to say that this write-up very forced me to try and do so! Your writing taste has been amazed me. Thanks, very great post. nfoefcuz,Your blog was informative and valuable to me. Thanks for sharing. bcurrrzxz,Definitely believe that which you said. Your favourite justification appeared to be on the net the simplest thing to remember of. I would like to thank you for the efforts you have put in writing this site. I am hoping the same high-grade web site post from you in the upcoming as well. In fact your creative writing skills has inspired me to get my own site now. Actually the blogging is spreading its wings rapidly. Your write up is a good example of it. yhcnjwjyx,We have a team of experts who could get you the correct settings for Bellsouth net email login through which, you can easily configure your email account with MS Outlook. Thanks for some other great post. The place else could anyone get that type of info in such an ideal manner of writing? I have a presentation next week, and I’m on the look for such info.